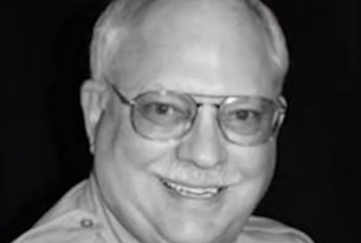 The plot continues to thicken regarding just how experienced Robert Bates—the Oklahoma reserve officer who accidentally killed an unarmed man, Eric Harris, earlier this month—really is. According to anonymous sources who spoke directly to the Tulsa World, Oklahoma officials were told to falsify Bates’ training records and sign off on field-training hours that Bates never, in fact, completed. Bates, who works full time at an insurance company, volunteers with the Tulsa County Sheriff’s Office as a “reserve deputy”—a position that some believe isn’t experienced enough to participate in the kind of undercover sting operation that resulted in Harris’ death. But it appears that Bates wasn’t even adequately trained for the volunteer reserve position. An Oklahoma sheriff told a Tulsa radio station that Bates was certified to use three weapons, but the sheriff’s office has not been able to find the documentation verifying those weapon clearances. At least three of Bates’ supervisors who refused to sign off on Bates’ training hours were transferred to another unit, the sources said. The sheriff’s office announced Thursday that it would be conducting an investigation of its deputy reserve program. “As with any critical incident, we are doing an internal review of our program and policy to determine if any changes need to take place,” said Tulsa County Sheriff’s Maj. Shannon Clark. Bates has been charged with second-degree manslaughter in the fatal shooting of Harris. Read more at the Tulsa World.